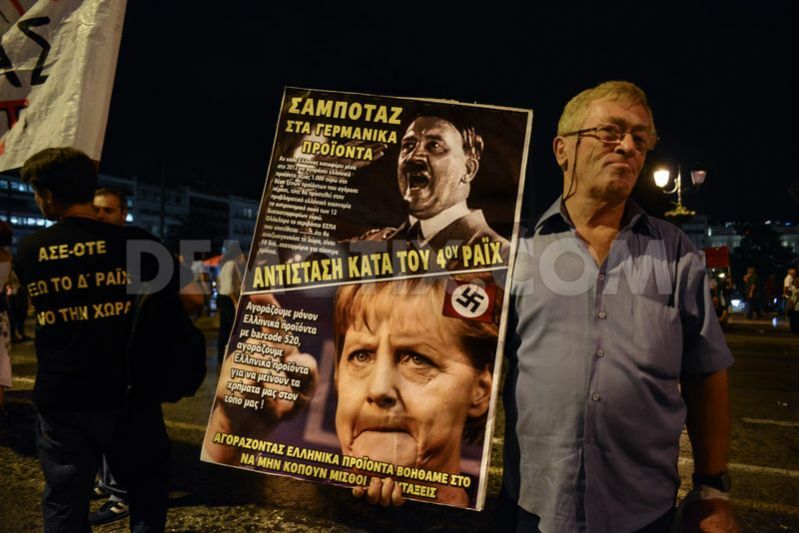 Thousands of demonstrators chanted anti-austerity slogans with banners warning German Chancellor Angela Merkel that she is not welcome in Greece at two planned protests organized in Athens on the eve of her visit. 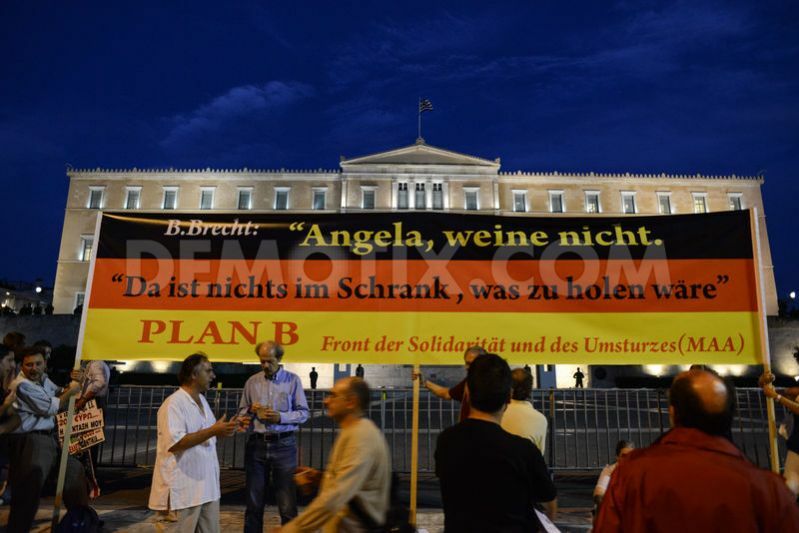 A banner seen in front of the Greek Parliament paraphrasing the title "Anna, don't cry" (from a Greek song based on poetry written by Bertold Brecht), to "Angela don't cry" on the eve of a visit to Greece by German chancellor Angela Merkel. 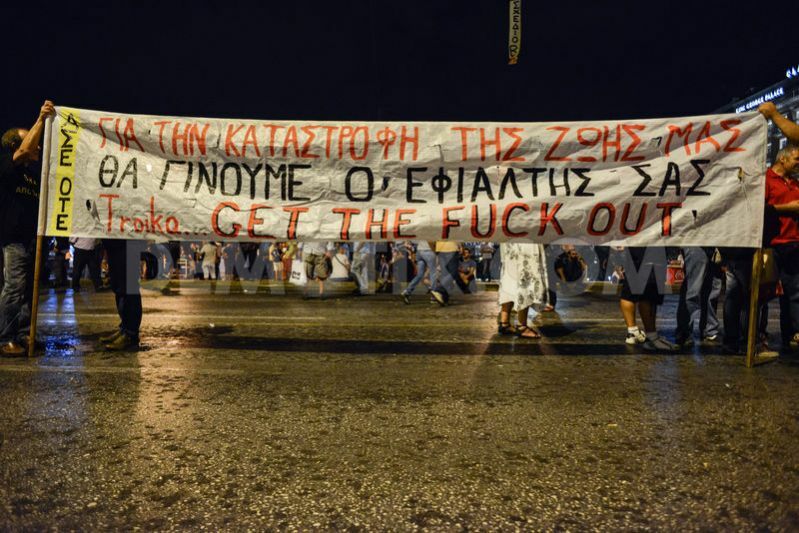 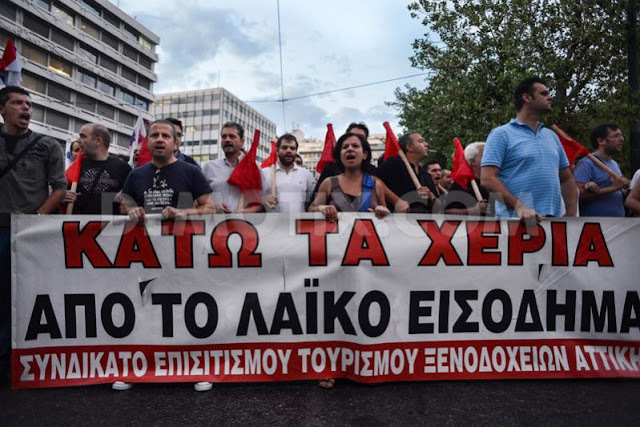 Protesters in Syntagma Square holding a banner against the Troika that reads: 'Because you are destroying our lives, we will become your nightmare'. 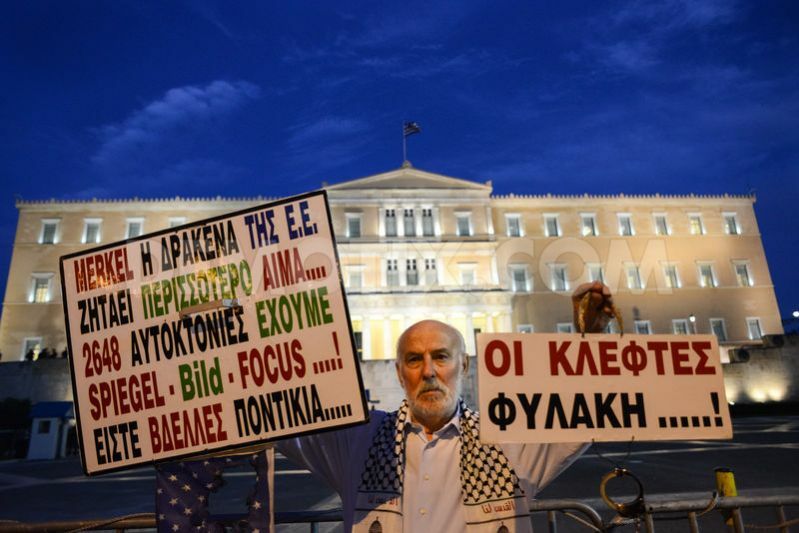 Protester in Syntagma Square, holding a sign urging Greeks to boycott German products. 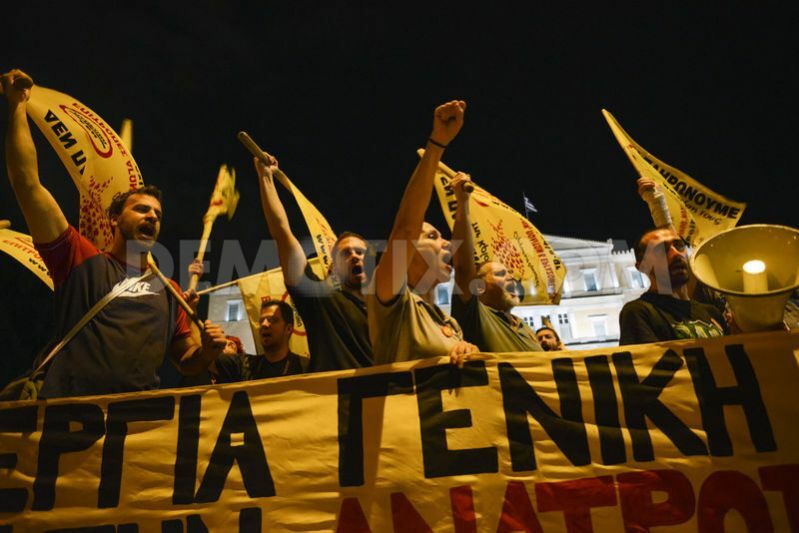 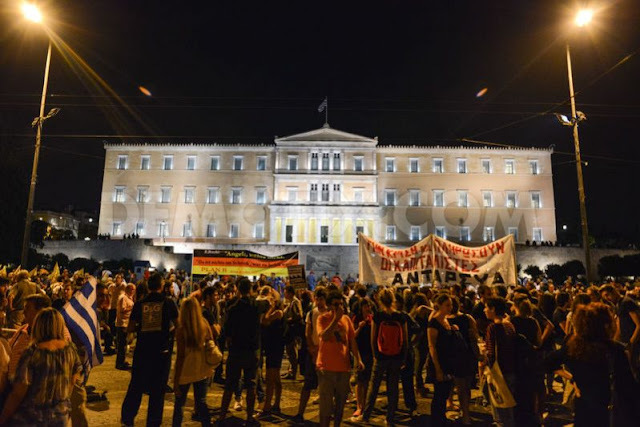 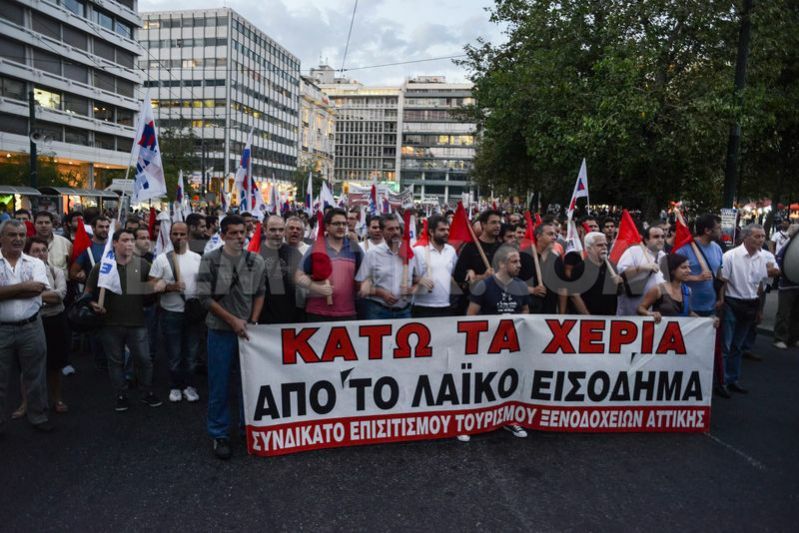 Protesters chanting anti-austerity slogans in Syntagma Square. 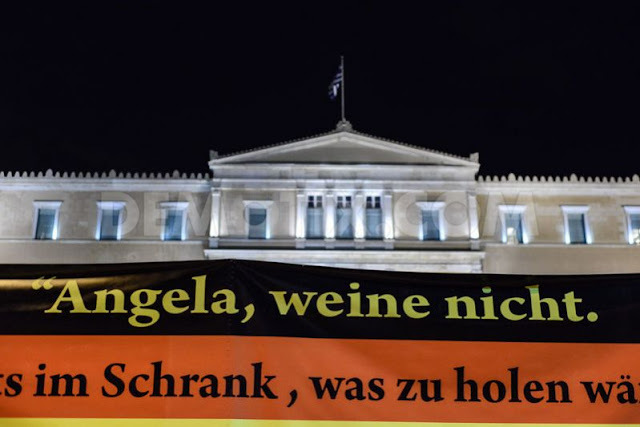 A banner in front of the Greek Parliament paraphrasing the title "Anna, don't cry" (from a Greek song based on poetry written by Bertold Brecht), to "Angela don't cry", on the eve of a visit to Greece by German chancellor Angela Merkel. 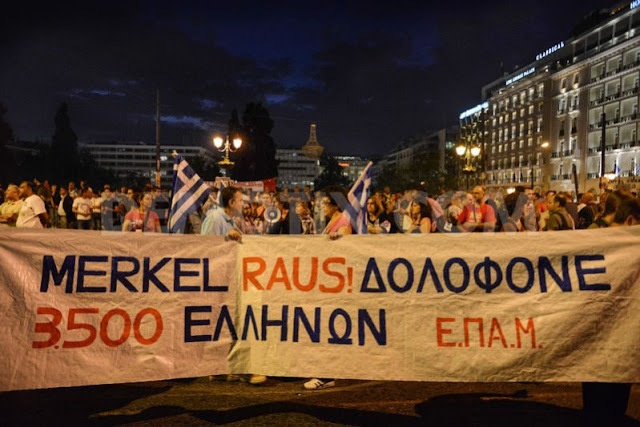 Protesters holding a banner that reads "Merkel Raus" in Syntagma Square. 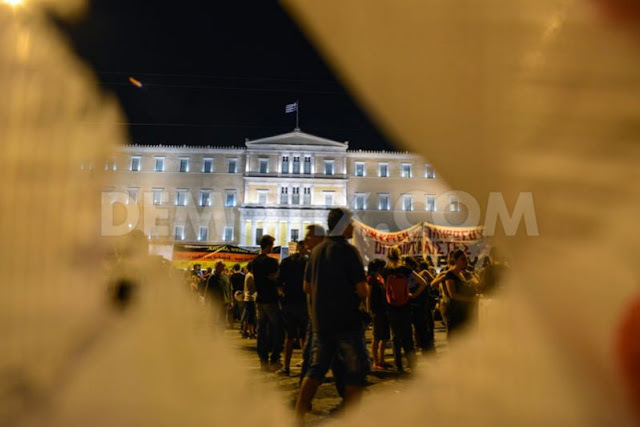 Protesters stayed in front of the Parliament for several hours peacefully. 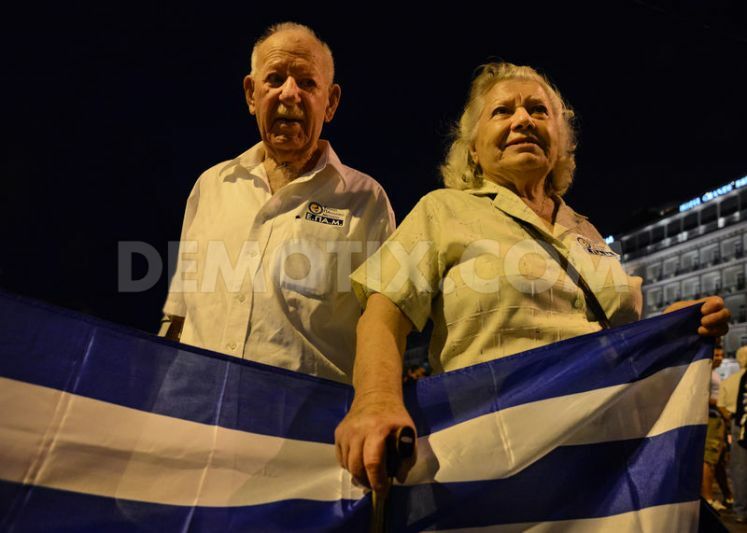 An elderly couple protest in Syntagma Square holding the Greek flag on the eve of a visit to Greece by German chancellor Angela Merkel. 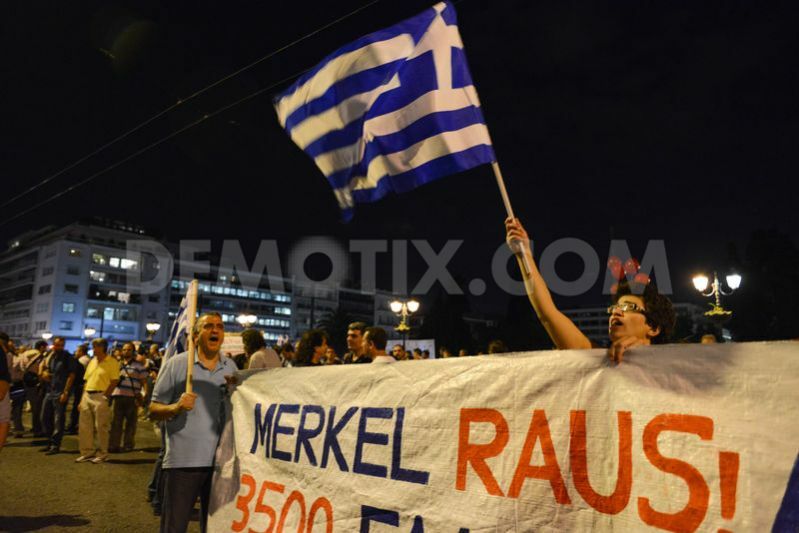 Protesters holding a banner that reads "Merkel Raus" in Syntagma Square on the eve of a visit to Greece by German chancellor Angela Merkel. 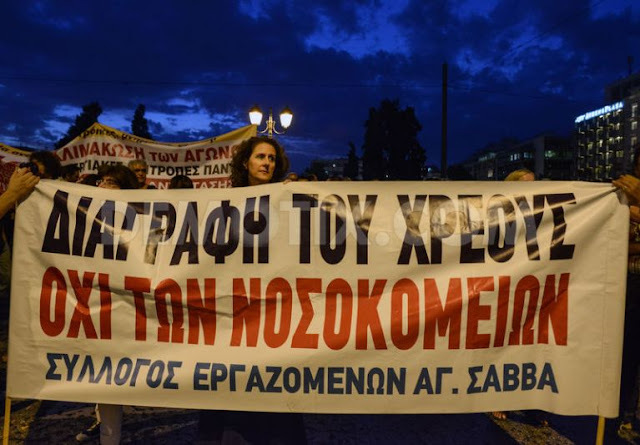 Banner of a public hospital Employees Association reads "cancellation of debt, not cancellation of hospitals", pictured on the eve of a visit to Greece by German chancellor Angela Merkel. 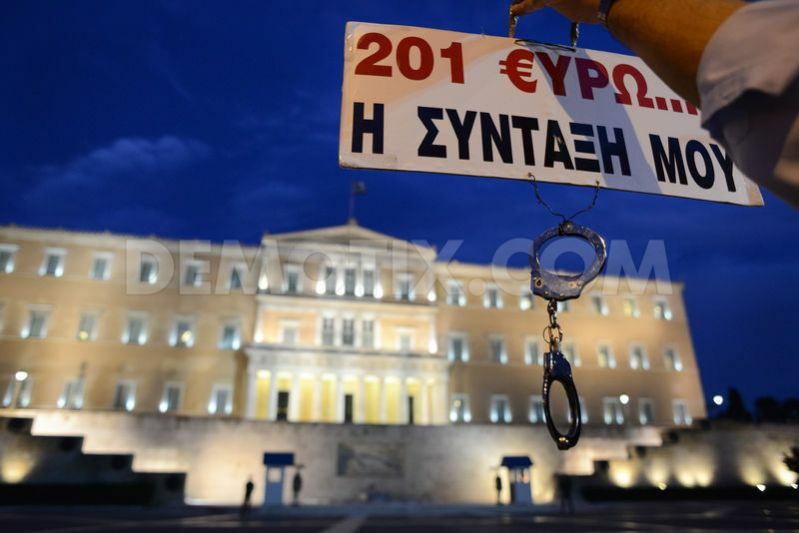 A pensioner protests in front of the Greek Parliament holding a banner and a set of handcuffs with the message he is getting a retirement pension of only 201 euros, after the austerity cuts. A protester in front of the Greek Parliament holding signs criticizing the German mass media on the eve of a visit to Greece by German chancellor Angela Merkel. 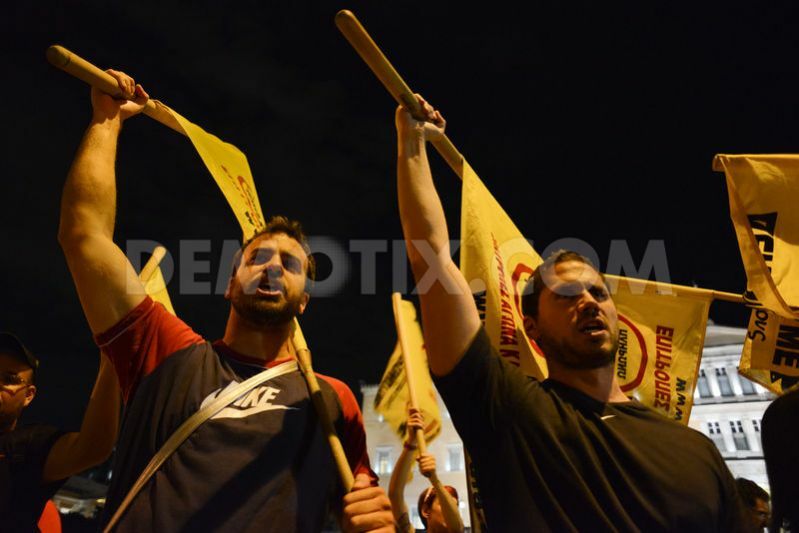 Protesters from the Communist party’s demonstration while shouting slogans in Syntagma Square. 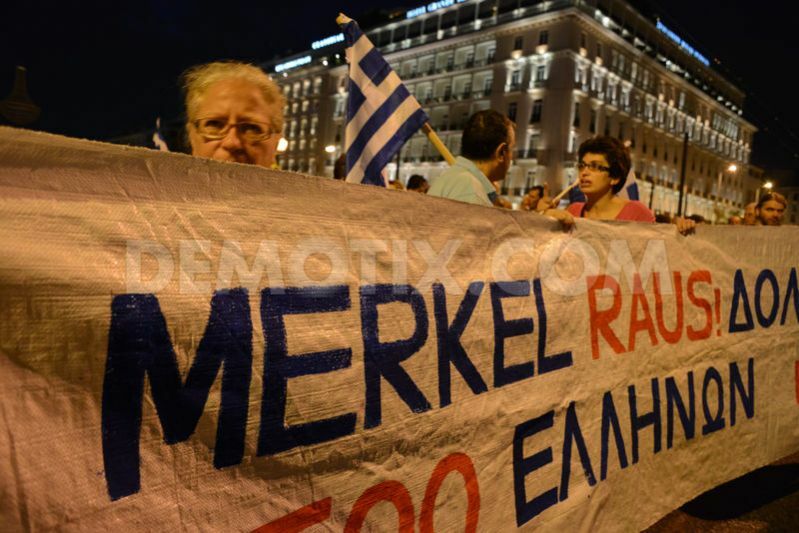 Thousands of demonstrators chanted anti-austerity slogans with banners warning Angela Merkel that is not welcome in Greece at two planned protests organized in Athens, by the countries biggest unions (GSEE and ADEDY) and Communist party of Greece (KKE), on the eve of a visit by the German chancellor.